Forums | Synconics Technologies Pvt. Ltd.
Reuse remarkable answers from your community. Provide well-organized and easily accessible content with categories of topics. 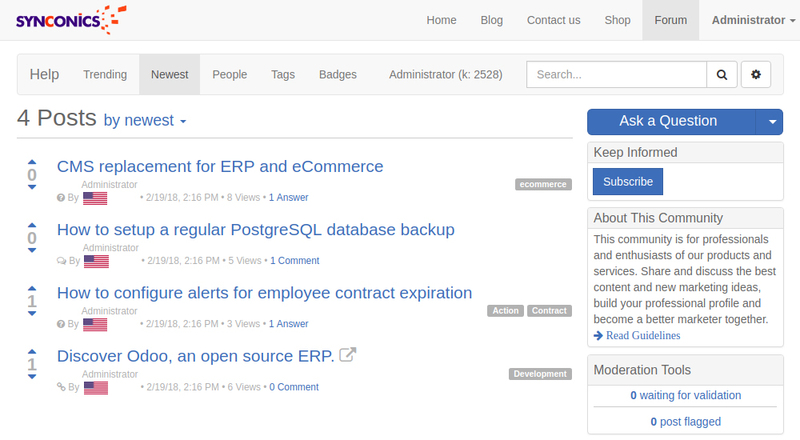 Keep related answers together in a threaded forum. Place the most viewed posts and the best rated answers at the top of the page. Grant badges: Reward your active contributors with badges according to their participation. Karma Points: Give members points for participation to keep them active and give them access to new functionalities. 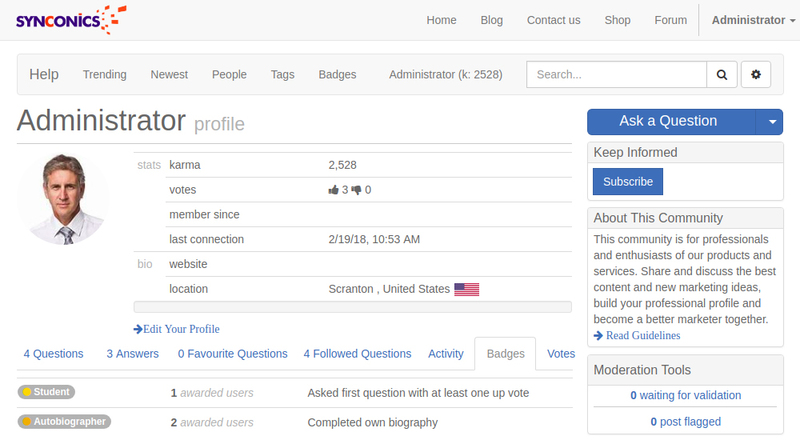 Grant access to more tools: Allow access to functions like vote, comment and edit when participants reach a certain level of Karma. Profile personalization: Members can create a profile to showcase their work and wisdom. 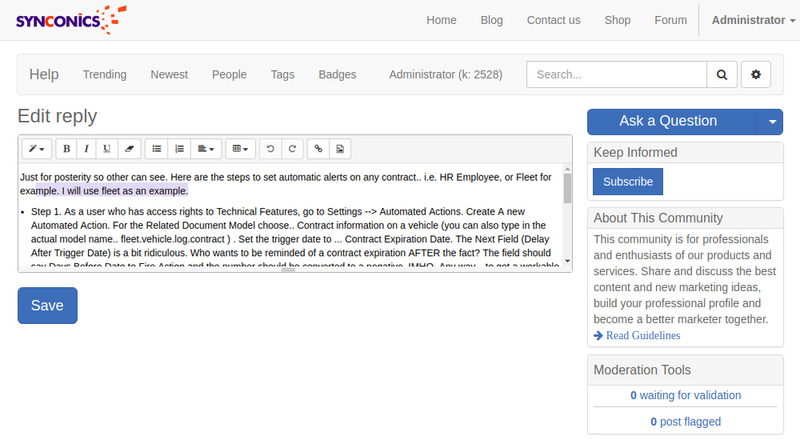 Search any topic: Insert any keyword and find all content related to it. 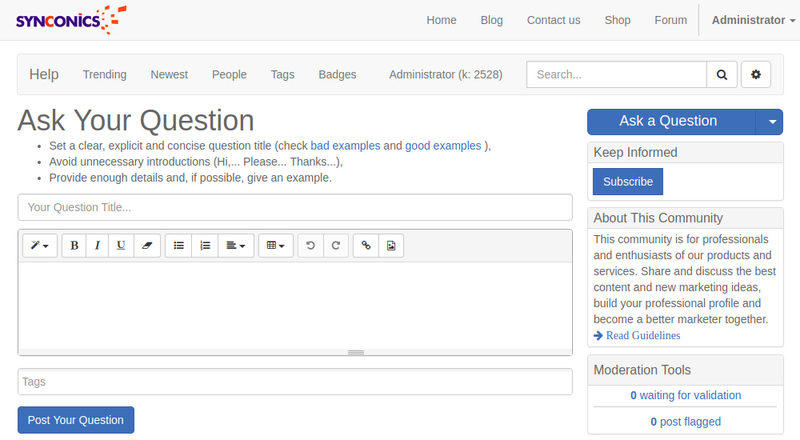 Filter by tags: Use tags to help filter questions and answers related to the same topic. 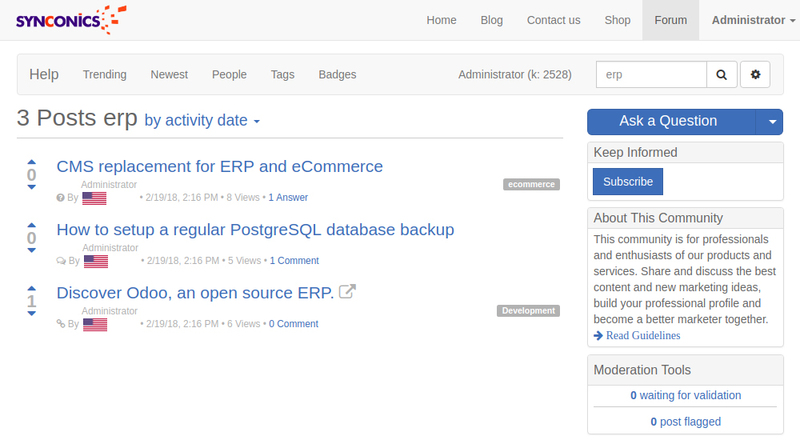 Sort content: Organize by relevance, last activity date, newest, most answered, most voted. Highlight questions: Each conversation you follow or that hasn’t received an answer is highlighted for better accessibility. Start discussions: Receive and share insightful information and advice on any topic. Edit & correct: Improve your submitted questions, comments and answer even after their publication. Enrich discussion: Embed videos and images to your messages. Email gateway: Answer any follow-up email straight from your mailbox. Upvote / downvote answers: Members rate the quality of the contributions to give the best ones high visibility. Avoid spam: Ensure all participants respect rules and that your forums don’t get spammed with our Karma reward point system. Edit & delete: Keep an eye on what is shared and make sure everything is done according your rules. Registered-only: Avoid one-time participants and spam by making participants registration mandatory.